To the untrained eye, a chicken feeder may merely look like nothing more than a bowl or container; however this couldn’t be further from the truth! Selecting the right chicken feeders for your flock is one of the most important decisions you can make as mother hen. 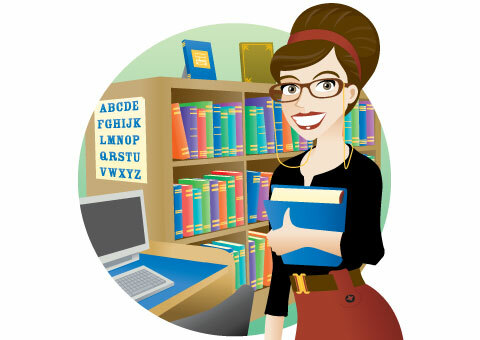 “Which chicken feeder should I get”, “where should I put it”, “is it going to be big enough”, “is this the right material”, are all important questions you need to ask before making your decision. Luckily, we have assembled a step by step guide that will prepare you for that all important moment when you decide on what chicken feeder you’ll select for your feathery flock. What is a chicken feeder? As the name suggests, a chicken feeder is essentially the vessel that will hold the feed for your feathered friends. Pretty simple right? Well, not quite. One of the major design challenges for most chicken feeders is preventing cheeky chooks from knocking the container over. Chooks love scratching, pecking and exploring the world through the tips of their nails, which often involves knocking, tossing and flipping all manner of things over- including the chicken feeder. Superiorly designed feeders for chickens will be both easy for your chooks to eat from but also designed in such a way that will prevent them from tipping it over and creating all sorts of mess and chaos. Can I make my own chicken feeder? Some chook loving DIY adventurers try and create chook feeders from all sorts of things, like mason jars, ice-cream tubs and milk bottles. Though these inventions are often inspired, beautiful and creative, the major challenge is to ensure that the chicken feeder cannot be tipped over, defecated in or exposed to weather conditions that may destroy the feed, like rain. This balancing act is genuinely quite tricky, so I always encourage first time chicken owners to either purchase their first feeder or at least model their DIY creations off more popular chicken feeder designs. There is no clear formula when it comes to determining how many chicken feeders you need in relation to the size of the flock. Some chicken gurus suggest that five centimetres of feeder space per chook over the age of six weeks is ideal. Others suggest it’s best to get a few medium sized chicken feeders for larger flocks, as more cautious birds won’t dare approach the tray if there are too many other chooks about. Essentially, the key is to observe the flock at feeding time and assess whether all your chooks are getting enough food. If not, introduce some more chicken feeders into the coop. What are the different types of chicken feeders? As we’ve suggested, there are quite a number of different chicken feeders to choose from. What are the best chicken feeders? Though they all have the same objective- provide food for the chickens with as little waste as possible- they all go about achieving this in very different ways. One of the most popular chicken feeder types is the suspended variety. Basically, a suspended chicken feeder is tied to the roof of the coop and hangs at about the height of the chicken’s neck. This is done so that the chooks won’t be able to scratch and pull at the base of the chicken feeder and knock it over. They will be able to peck and munch by the chicken feeder with ease and delight. With suspended chicken feeders it is often better to get a rubber made tray, as metal and aluminium trays tend to rust. 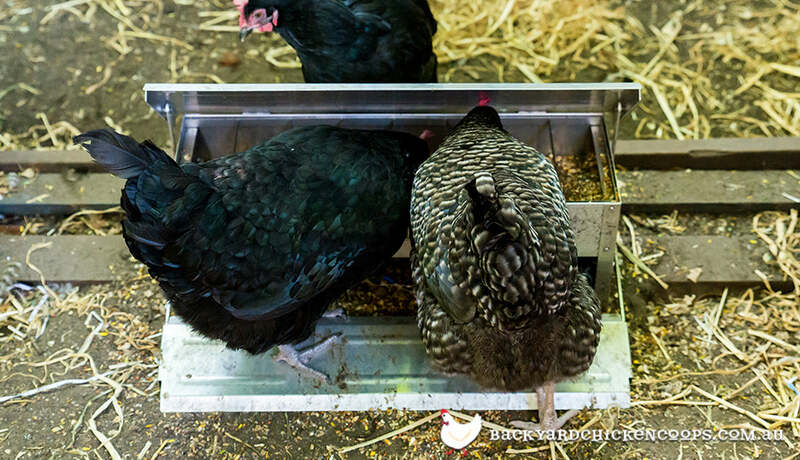 A treadle chicken feeder is essential a heavy feeding box with a platform mechanism that the chickens stand on, which lifts the lid of the device open so that the chicks can chow down. This is a great innovation as it helps protects the chicken feed from bugs, mice and rats that are often drawn to the delectable scent of the grain. The chickens may have a little trouble working the equipment out at first, so do keep an eye on them to make sure all your girls are having something to eat. Patience is key - your chooks will get the hang of this money saving feeder over time. A PVC feeder- or what we like to call a tubular feeder- is essentially a chicken feeder constructed out of new or used piping or plumbing. Most PVC chicken feeders are quite large, run along the side of the coop, with an outward turned spout that prevents the feed from falling loose and also inhibits the chickens from scratching the feed out. As these chicken feeders are quite exposed and hold more feed, they aren’t the greatest when it comes to deterring grain loving pests from your garden. This being said, they are probably one of the most simple and streamlined chicken feeders available. Where should I put the chicken feeder? Keeping your chicken feeder in an enclosed place is one of the most cost effective moves you can make. Rain, wind and other weather conditions can quickly destroy your batch of chicken feed if you’re not careful. One of the better places to keep the chicken feeder would be inside the chicken coop, closer to the door. This way the feed is protected from the elements and it will also motivate chickens into the hutch at night and into the nesting boxes to lay delicious healthy eggs. Coops such as The Penthouse and Mansion are great as they have plenty of space inside the hutch to store your chicken feeder. All this is essentially the basis for everything you need to know about chicken feeders. 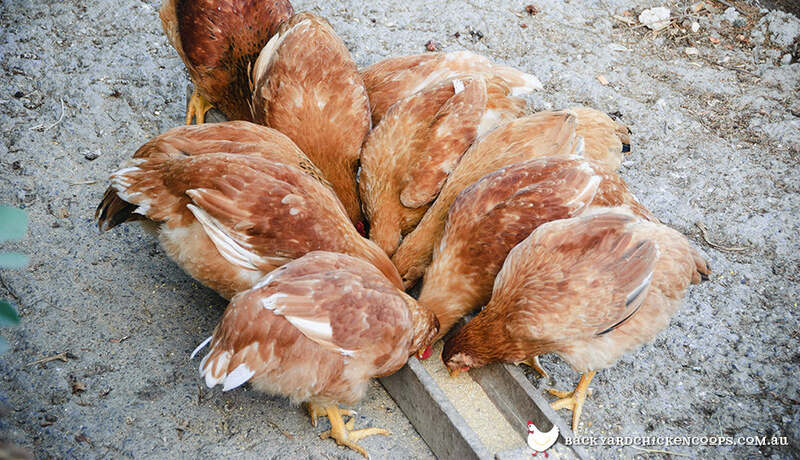 Take this into mind before you buy or create your own chicken feeder because, as we said in the beginning, it may seem like a mere container from an outsider perspective, but a lot of thought has gone into ensuring that your chickens are able to access delicious feed without too much waste. At the end of the day, a superior quality feeder will ultimately save you money on chicken feed - It’s that simple. Take a look at our starter packs, which have everything you need to get your flock off to the best start. Or have a peck at our treadle chicken feeder.